Ellary and Castle Sween have been in the ownership of my family for some generations, and we have been offering holiday accommodation as an organised business for a very long time. During that time, we have learnt a great deal about the kind of holiday which people enjoy most, as well as the kind of families who most enjoy Ellary and Castle Sween. Some families have been visiting us on a regular basis almost since we began, and families and individuals have been drawn to make return visits. We have found that in any one year, more than two thirds of our guests have stayed with us before. A holiday here is the correct choice for families or individuals who seek more than just a quiet relaxing holiday. So many holiday destinations offer “Peace and Quiet” that such a term hardly describes the unique atmosphere that you will find at Ellary and Castle Sween. 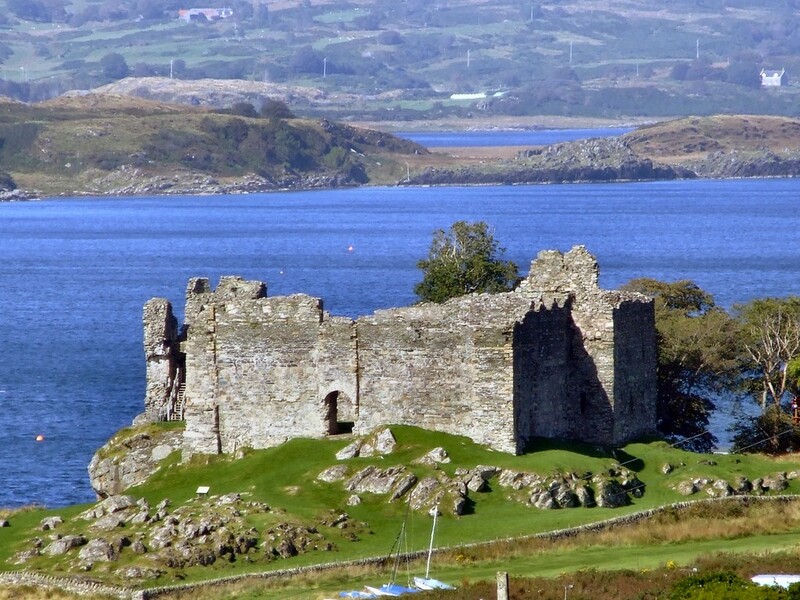 This is a part of Argyll which is very much off the beaten track, and is very little visited. It is unspoilt, and is likely to remain so. All of the accommodation listed in this brochure is close to the sea. Indeed even if you wander far into the hills, you are rarely out of sight of the sea. Sea air, known to be healthy and relaxing, is somehow more relaxing at Ellary and Castle Sween. If you wander only a short distance from your accommodation, you will find yourself in wild unspoilt countryside. If you are able to relate to this and appreciate it, you will find that it beckons you to explore further. You can go as far as you want on an adventure into the hills, or you can find equal fascination on the shortest of excursions, for example along the shore! If you are a boating person, bring your boat. You will find the same sort of excitement, and it will take years to explore all of the coast properly. This Website with it's collection of pictures and ideas will hopefully give you an idea of the ambiance of the area; and a short listing of the accommodation available, all of which is kept in the best of condition and always offered in very good order. Above all, this is a special invitation from me and my family to spend at least part of your holidays this year at Ellary and Castle Sween.